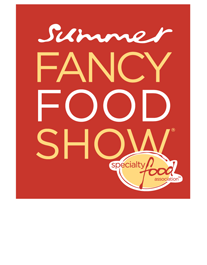 The Summer Fancy Food Show is the largest specialty food show in North America, with 2,400 exhibitors and 180,000 products. In other words, it’s a glutton’s paradise. In the dessert arena, I didn’t notice any brand new trends – gluten free desserts are still very well represented; salted caramel continues to find its way in all types of desserts; and chocolate is again paired with spices, especially different varieties of peppers. ■ Chuao Chocolatier’s Strawberry Waffle Wild bar. 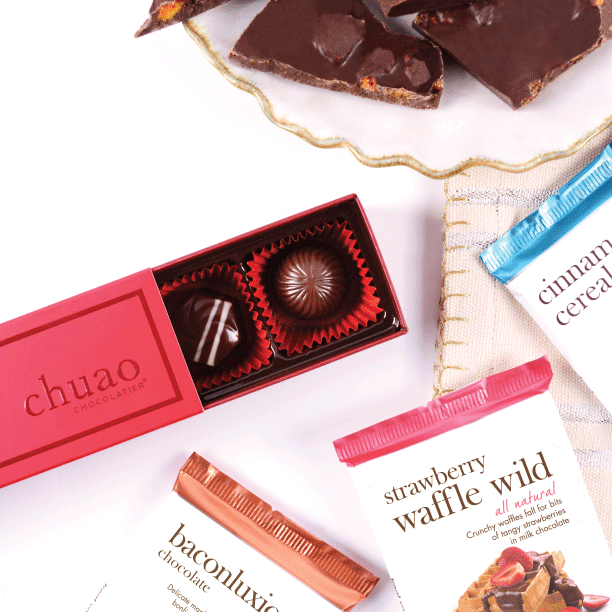 This is one of Chuao’s breakfast-inspired flavors, with waffle pieces and strawberry pieces enrobed in milk chocolate. The other breakfast-themed bar is the Cinnamon Cereal Smooch Bar. Chuao’s marketing slogan for these two chocolate bars is “Eat chocolate for breakfast” (sounds really good to me). ■ Barnana snacks — no, this isn’t a typo. Barnanas are dehydrated Banana pieces with additions. 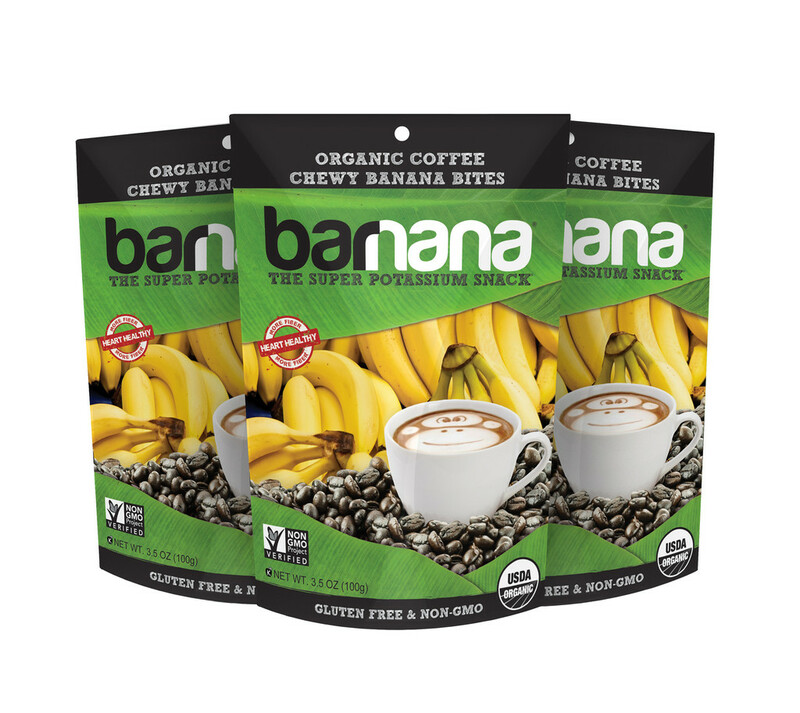 The Organic Original variety is sprinkled with Banana Powder and, as you might have guessed, the Organic Coffee version is dipped in a (sweetened) Organic Coffee coating. ■ Kathi German Bee Sting Cake Mix, imported by Niche Gourmet — all you need to add is butter, water, and heavy whipping cream. What is a German Bee Sting Cake, you might ask? A yeast dough with a cream or custard filling topped with a layer of honey-almonds. And its memorable name might be due to the honey in the cake. 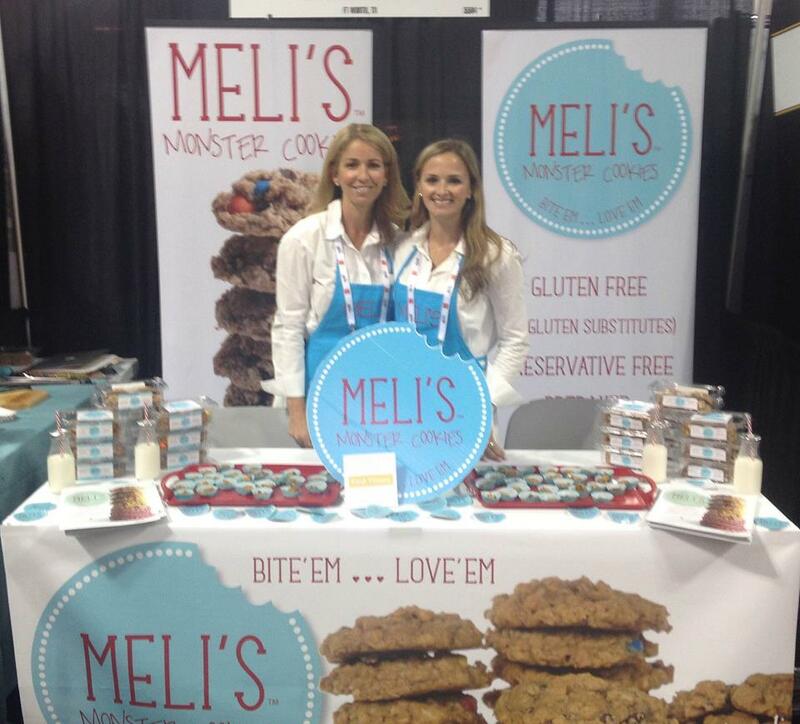 ■ “The Original” cookie — produced by Meli’s Monster Cookies. This “Monster” will not cause nightmares, is gluten free, and is chuck full of rolled oats, crunchy peanut butter, chocolate chips, M&Ms and peanut butter M&Ms. ■ Softer than Brittle is a peanut brittle without dairy, gluten, cholesterol, or preservatives. And as an added health benefit — since it’s softer than traditional brittle, it’s easier on your teeth. I sure look forward to next summer’s Fancy Food Show. Real maple syrup is a bit of a luxury (but, boy is it worth it!). It takes more than 40 gallons of maple tree sap to make one gallon of maple syrup. To make maple syrup, you boil the sap. Maple syrup is versatile. It pairs beautifully with walnuts, pears, pecans, chocolate, bananas, apples, and bacon. Bacon? 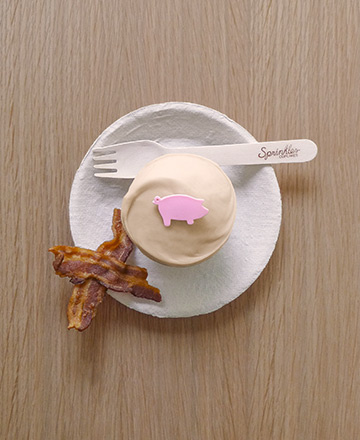 Capitalizing on the apparently still strong bacon in desserts trend, for a limited time, Sprinkles Cupcakes offered a Maple Bacon Cupcake. Bacon was woven into a Madagascar vanilla cake and the cake was topped with a maple cream cheese frosting. Perched atop the frosting were bacon crumbles and fleur de sel (high-end sea salt). 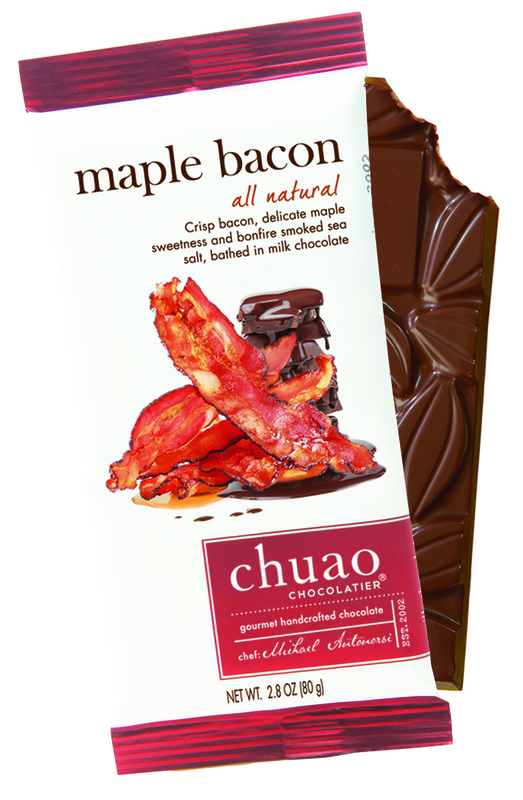 Interested in maple plus bacon plus chocolate? Chuao Chocolatier debuted a Maple Bacon Bar in 2012. According to the company, it’s about the chocolate first and foremost. For those looking to avoid meat products in their maple treats, there are plenty of options. 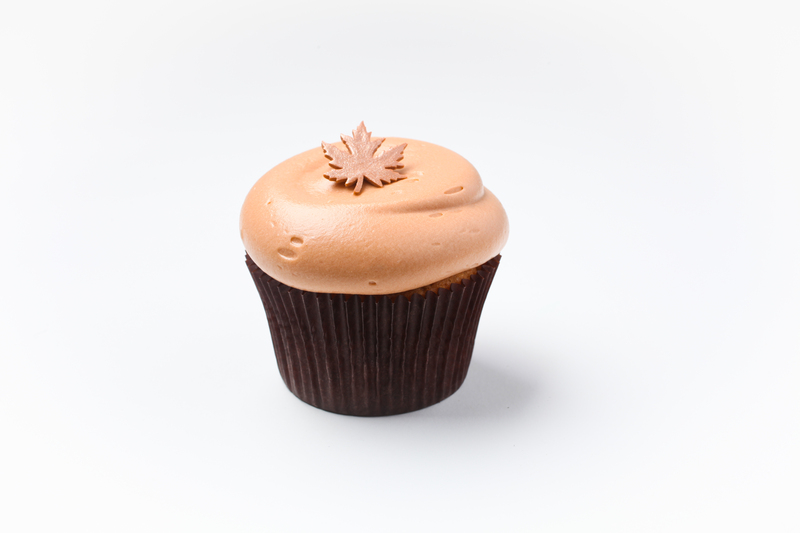 On Tuesdays, Georgetown Cupcake offers a Maple Cupcake. It packs a double maple punch. The cake is maple and it’s topped with a maple infused cream cheese frosting. And it’s decorated with fondant (sugar paste) in the shape of a maple leaf. The owners, Katherine Kallinis Berman and Sophie Kallinis LaMontagne were inspired by the fall season and changing leaves. And if you’re more of an ice cream fan, fear not. 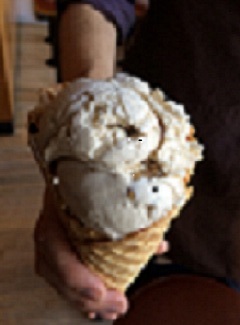 Maple Walnut is so popular it’s one of the ten “always” flavors at Molly Moon’s Homemade Ice Cream. Illustrating that the maple chocolate combination isn’t new, Vosges Haut Chocolate has been offering Maple Caramels for about five years. And Vosges indicates that these caramels are popular. When I’m not indulging in maple desserts, I still enjoy the taste of maple – it sure livens up breakfast oatmeal.